Some of us might struggle to get along with our siblings when we're stuck working together on some kind of task - doing chores for our parents, helping each other move, that sort of thing. 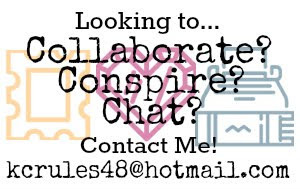 Now imagine if you had only just met your siblings and were expected to live under the same roof as them and tackle a massive renovation project at the same time. Such is the underlying premise for the first novel in Mariah Stewart's Hudson Sister series, The Last Chance Matinee. 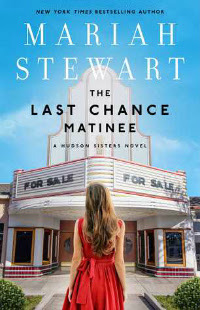 Stewart's new novel is told from the perspective of three women living in different states that are brought together by their late father's lawyer and best friend, Pete Wheeler. Sisters Allie Monroe and Desdemona Hudson meet Cara McCann for the first time in Pete's office, and learn that their father had a second wife, and that Cara is their half-sister. If that wasn't enough information to process, they are then told that their father had set aside some very specific conditions in his will that must be met before any of the three girls can claim their inheritance; they must live together in their father's childhood home in Hidden Falls, PA and restore the Sugarhouse, a large art deco theater that is a part of Fritz Hudson's estate. If any of them leave Hidden Falls before the project is complete, than none of the sisters are to inherit anything. The Last Chance Matinee's narration is split between these three sisters, but it is probably Cara McCann whose perspective dominates the majority of the chapters, and that is an aspect of this first book that I really enjoyed. Compared to Allie and Des, Cara is the outsider, raised as an only child whereas Allie and Des grew up together, although the two of them aren't at all close and even live in different states. While all three sisters are living in less than perfect circumstances before they learn about their father's death, the events in this book focus primarily on the events in Cara's life, both leading up to her move to Hidden Falls and everything that Cara experiences living with her Aunt Barney and her half-sisters. Cara's perspective in this first novel is a great way to look at how Des and Allie cope with the news about their father's double life. Cara is determined to learn just what sort of person their father was, given that he only showed certain parts of himself to her and her mother while he was alive. While the town of Hidden Falls in which this book takes place is of course fictional, this book still possesses a vast amount of lure to the history of this small community, and to the long and complicated history of the Hudson family in Hidden Valley. I'm certainly looking forward to learning more details about Hidden Valley's history, and there are a number of secrets to be uncovered throughout this series, about the town as well as Fritz Hudson himself. This book really piqued my interest, and even if it hadn't, I would have kept furiously flipping the pages simply because of the fear that one of the characters was going to tumble to their death from the falls from which the small town gets its name, or that one of the characters was going to get mauled by a bear in the woods. It's only a short time after the sisters have moved into their father's childhood home with their aunt Barney that they hear a story about someone having died from stumbling and hitting the rocks below the falls a long time ago, and even further along in the novel, Cara is told by Joe, who is managing the contractors and other workers that are helping restore the theater, about how he was attacked by a bear when he was younger, and Cara is even shown the scar from where the bear clawed him. I'm sure that every time I read that somebody was going out to see the falls, or that someone was going for a walk in the forest, my entire body tensed up and I continued reading with bated breath. A quote from one of my favorite novels, The Storied Life of A.J. Fikry by Gabrielle Zevin, kept popping into my head: "[A.J.] is a reader, and what he believes in is plot construction. If a gun appears in act one, that gun had better go off by act three." I'd like to focus on the primary romance of the story, between Cara and Joe. I'm as much of a sucker for romance as anyone, and that is something that most fiction directed towards women cannot exist without. I've already mentioned that romance isn't the primary focus in this novel, which is refreshing, but the thing I love the most about the budding relationship between Joe and Cara is that it isn't a romantic plot that has been added to the novel strictly for the sake of having romance. Their conversations have value beyond giving us readers warm, fuzzy feelings; From Cara's chapters, the audience learns about how Cara felt like she was never enough when she was with her ex-husband, a feeling that a number of women readers can surely relate to. It's not only through Joe's attention, but from her own knowledge and growth, that Cara is able to transcend those feelings of inadequacy that hung over her head at the beginning of the novel. It's meeting Joe that she learns that she truly wants to be loved, and that she deserves to be loved. "Somehow, she'd thought moving on would have been harder, would have stirred up much more angst and almost a kind of guilt, but Cara felt none of those things. Instead, she wanted to feel cared for, desired. For the first time since Drew had walked out on her, Cara felt like she was enough." - Chapter 15. Overall, this book was a fun and enjoyable read. The Last Chance Matinee is a novel of substance without the subject matter or the overall content being too heavy. I'd recommend it to anyone looking for their next good read, and for those who are hesitant to be tied down to a series rather than a stand-alone novel, the book ends in a satisfying enough way that you won't be pulling your hair out while you wait for the next installment of the Hudson Sisters series. Trust me when I tell you that you will quickly be enraptured by the Hudson sisters, and you'll be rooting through them the entire way.